English National Opera’s collaboration with Improbable and its director Phelim McDermott on Philip Glass’ 1984 opera returns for its first revival. 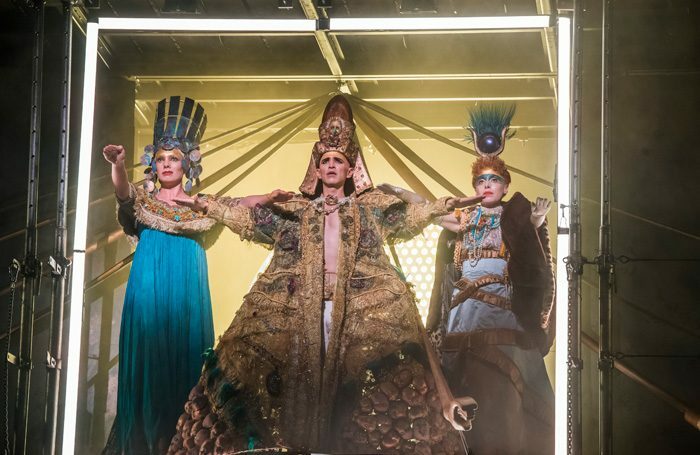 It remains an evening of exceptional spectacle, as McDermott and his designers conjure up a fantasy ancient Egypt in an opera whose ritualised manner and use of defunct languages make it artificial to a degree while remaining engrossing on more than one level. Glass’ fascination with the Egyptian Pharaoh who replaced his country’s pantheistic faith with a monotheistic religion only to be subsequently overthrown and expunged from history provides the source material for a score that represents his hypnotic style at its most pure. Conductor Karen Kamensek draws a performance from the company’s diligent orchestra and chorus that is both precise and atmospheric. The soloists give their all in a staging that demands absolute concentration from them in their physical movements as in their singing. Countertenor Anthony Roth Costanzo offers a bravura account of Akhnaten himself, his haunting vocalism matched by a bold and touching realisation of the king’s quasi-sacred physicality. He is ably seconded by Katie Stevenson as his wife Nefertiti, Rebecca Bottone as his mother Queen Tye, Keel Watson as Nefertiti’s father Aye, James Cleverton as general Horemhab and Colin Judson as the High Priest of Amon. 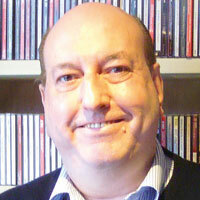 With a text mostly in ancient Egyptian, Hebrew or Akkadian, Zachary James’ English-language interventions as the Scribe are vital to communicating the oblique narrative. Surtitles would have been a good idea. But overall this is one of those ENO evenings where music and visuals absolutely meld into one. Whether it’s in Kevin Pollard’s gorgeous costumes, the nigh-on infallible skills of Gandini Juggling – an art apparently practised in Ancient Egypt – or the grandeur of Tom Pye’s sets, the production is as much a feast for the eyes as it is for the ears, and immensely satisfying for both.